Indianapolis, IN (Law Firm Newswire) October 30, 2018 – On October 26, 2018, Attorney Matthew Kroes of the Marc Lopez Law Firm argued a DUI/OVWI case before the Indiana Court of Appeals. A small percentage of criminal cases proceed to trial, and of this subset, only a few are appealed. 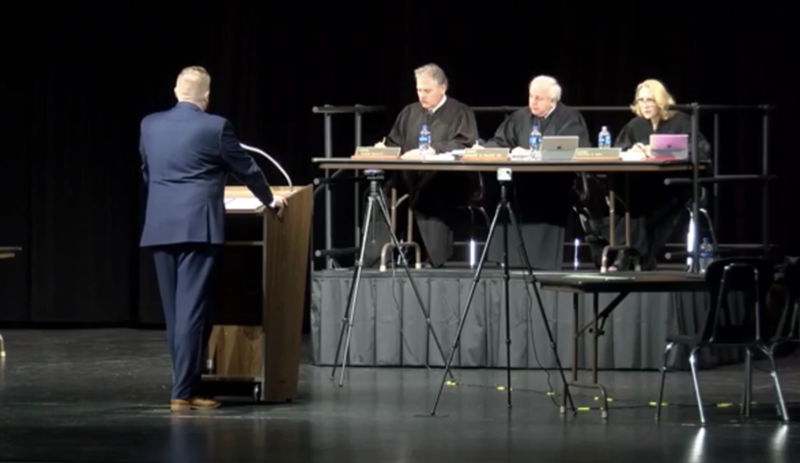 Of the minority of cases that are appealed, an even smaller fraction are invited to engage in oral argument in front of the Indiana Court of Appeals. Attorney Kroes’s argument was focused on two issues: 1) the validity of a particular Indiana DUI/OVWI checkpoint; and 2) the proper method of administering a Certified Chemical Test. While checkpoints are allowed in the State of Indiana, they must meet certain standards. A DUI/OVWI checkpoint is supposed to: 1) be safe; 2) effectively deter impaired drivers; 3) be executed pursuant to a neutral plan approved by appropriate officials; 4) be objective in its location and timing; 5) limit the amount of procedural discretion available to each individual checkpoint officer; and 6) not constitute an unreasonable intrusion into the lives of the motorists it aims to protect. In this particular case, the checkpoint was only partially-compliant with the neutral plan, and these deviations created safety concerns. The Marc Lopez Law Firm insists that the checkpoint in question was improperly-executed and that the fruits of that checkpoint should be suppressed. The second issue concerns administration of a Certified Breath Test, and the standard is as straightforward as they come: If the officer follows the Indiana Administrative Code in obtaining the breath sample, that evidence is admissible. As one can probably infer, if the officer does not follow the Administrative Code, the results of the Certified Breath Test are inadmissible. In this particular case, the EC/IR II—Indiana’s breath test machine—produced an error message that is not addressed in the Administrative Code. In the absence of guidance, the officer in question elected to invent his own protocol. The Marc Lopez Law Firm takes the position that police officers should not be permitted to improvise their own rules. It also asserts that the State should not be allowed to demonstrate a defendant’s intoxication with results from a malfunctioning machine. Based in Indianapolis, the Marc Lopez Law Firm helps people who have been charged with a crime by the State of Indiana. They can be reached at 317-632-3642, or visit their website at marclopezlaw.com.